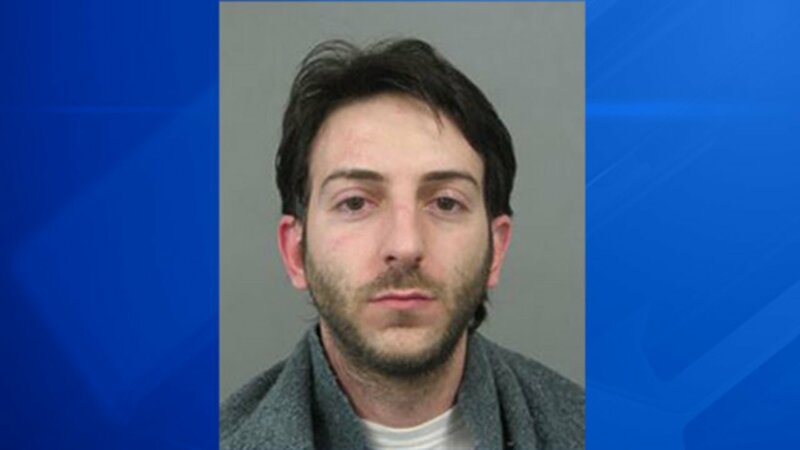 SKOKIE, Ill. (WLS) -- A 33-year-old man has been charged with robbing a Skokie Walgreen's on Wednesday, police said. Argyis Triantafilis has been charged with one felony count of armed robbery. His bond was set at $75,000 and he is due in court on March 14. Triantafilis was arrested on Wednesday after he allegedly robbed a Walgreens at gunpoint, police said. Police responded to a report of an armed robbery at the Walgreens at 9150 Skoke Boulevard around 1:40 p.m.
Police said a witness reported a white man displaying a handgun to the pharmacist and demanded OxyContin pills. Police said the person was given pills and left the Walgreens on foot. Police located the suspect near Weber Center on 9300 Weber Park Place. Police arrested the suspect near Emerson Street and Lawler Avenue after a foot chase. Police said a BB gun believed to have been used in the robbery was found on the roof of a residence. OxyContin pills were recovered from the suspect after the arrest, police said.